Chef Damien O'Donnell at the James Beard House in NYC. At the age of fifteen, Chef Damien O'Donnell entered the food world and never looked back. Washing dishes and prepping deli salads was where he got his start at a popular bagel store/deli in his home town of Monroe, NY. After high school he went on to graduate from the Culinary Institute of America. In 1996, while attending the CIA, O'Donnell did his externship at the Palm's outpost, The James Lane Cafe in East Hampton. While at the CIA, Chef learned the basic knowledge it would take to challenge himself in several NYC restaurants, including Cite, Tao and Roy Yamaguchi's downtown location of trendy Asian fusion cuisine. O'Donnell took a liking to Yamaguchi's style and food. He traveled a bit with the company and was selected as a corporate trainer for the opening of Roy's Las Vegas. He worked his way into Chef positions at the Boca Raton, Baltimore and Philadelphia locations. It was while in Baltimore that O'Donnell decided to step back and work on refining his classic French techniques of which he hadn't had a strong taste of since his schooling at the CIA. O'Donnell took on the Sous Chef position at a small French bistro in Columbia Maryland named Cafe de Paris. 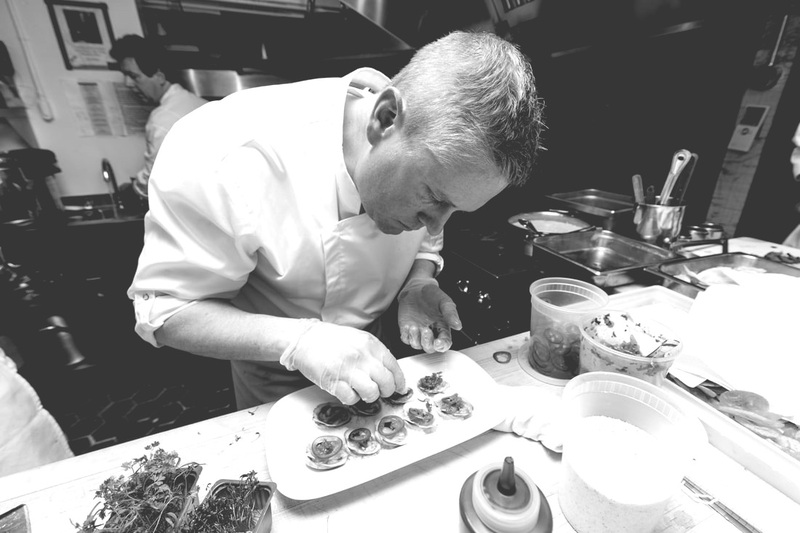 For three years Chef O'Donnell worked under French ownership and exposed himself to the backbone of cuisine which he so desired. Halfway through his tenure with Cafe, O'Donnell took over the helm and found a balance of classic French, Mediterranean and the Asian flare he learned from Yamaguchi. On June 1st 2006, O'Donnell, along with his wife Nicole and with the support of his in laws, Pat and Ann Glennon, opened Harbor Bistro. Fish preparation has always been a passion for the Chef, so it would only make sense that he was is incredibly grateful given the opportunity to work with the vast amounts of fresh local seafood along with the bounty of local produce which we have so readily available to us here on the East End. O'Donnell's menu at Harbor Bistro has evolved through the years and one of the things that truly inspires the Chef are the talents and abilities of his fellow Chefs here on the East End. 'We need to constantly improve and evolve' O'Donnell says, 'Or else you get stale'. With twenty seven years in the business and now heading into his thirteenth season at Harbor Bistro, the Chef prides himself on consistency. 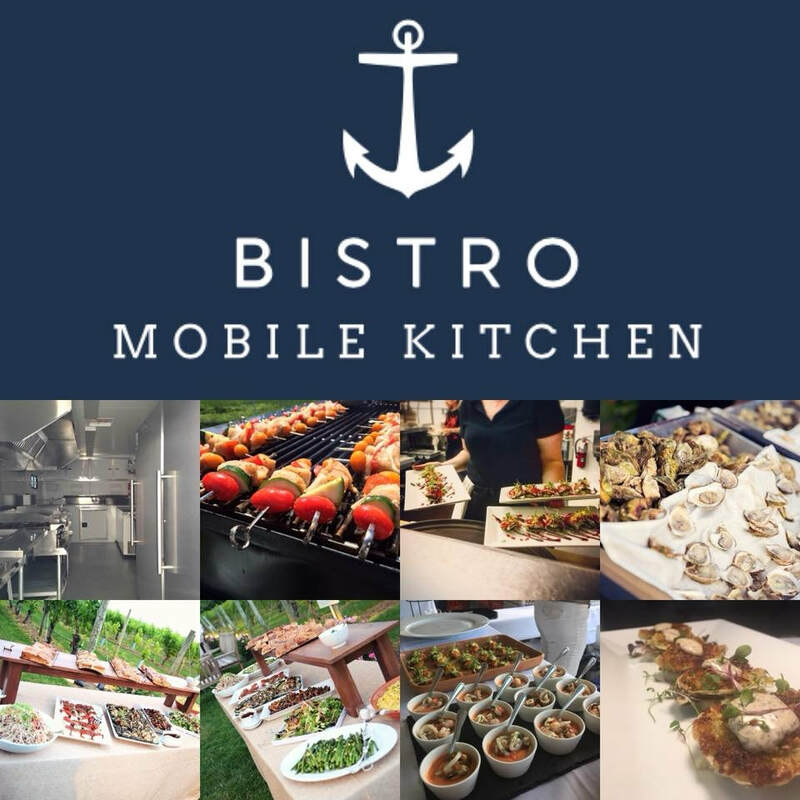 Chef O'Donnell's new venture welcomes off premise catering with the addition of his food truck Bistro Mobile Kitchen. He is an active member of the East Hampton community, a lucky husband and the proud daddy to three most beautiful girls.